While clamming for the family, my husband opened one of the Quahog clams and found this beauty inside. It's always nice to find a round natural pearl. 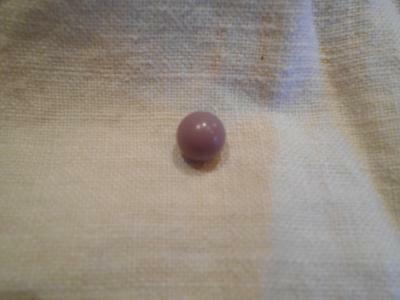 People collect different types of natural pearls. Some collect certain colors, such a purple. Some collect one of every kind. Others collect certain shapes such as round. 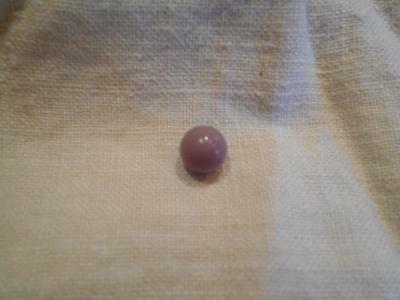 This nice and round quahog pearl would be a grand addition to any collection of natural pearls and also would showcase nicely all by itself in a charming ring or pendant. Return to Listed - Quahog Pearls - SOLD.